Keepers of the Magic  celebrates the breathtaking cinematic images that have transfixed audiences around the world. This groundbreaking documentary explores our fascination with moving images and provides insight into how cinema’s most iconic moments came to be. Most of all, it honours the great masters of cinematography, unsung heroes whose vision and talent was always right before our eyes. Legendary cinematographers including  Vittorio Storaro  (Apocalypse Now, The Last Emperor, The Conformist),  Bruno Delbonnel  (Amelie, Inside Llewyn Davis),  Cesar Charlone  (City of God, The Constant Gardener),  Philippe Rousselot  (The Bear, Big Fish, Sherlock Holmes),  Roger Deakins  (A Beautiful Mind, No Country For Old Men, Sicario),  John Seale  (Witness, Rain Man, Mad Max: Fury Road) and  Gordon Willis  (The Godfather trilogy, Manhattan, All The President’s Men) share behind-the-scenes stories about the making of the greatest films of the last 50 years and explain how their individual journeys contributed to their work. 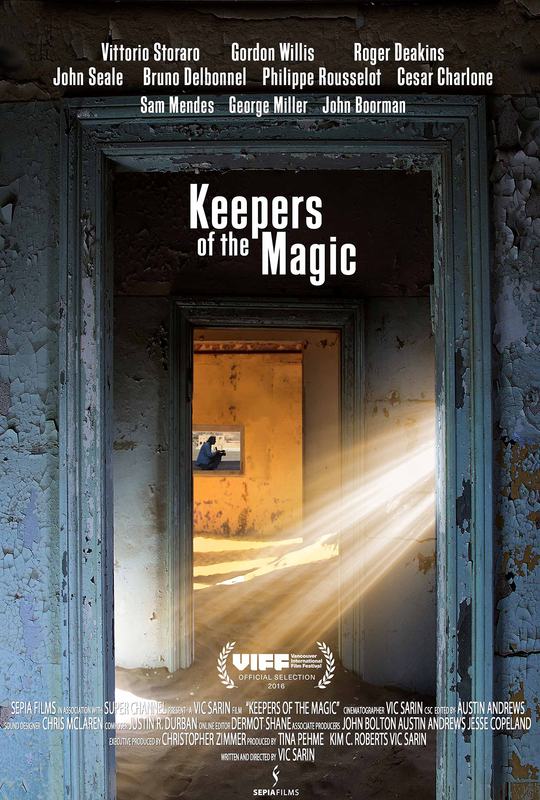 Keepers of the Magic  discusses Director-Cinematographer relationships with world renown directors such as Sam Mendes (Skyfall) and  George Miller (Mad Max: Road to Fury) explaining how great cinematography transports us into another world. Copyright© Sepia Films Inc. All Rights Reserved.